Firefly is a private astronomical observatory located in Asheville, NC. The building is a roll-off-roof design. 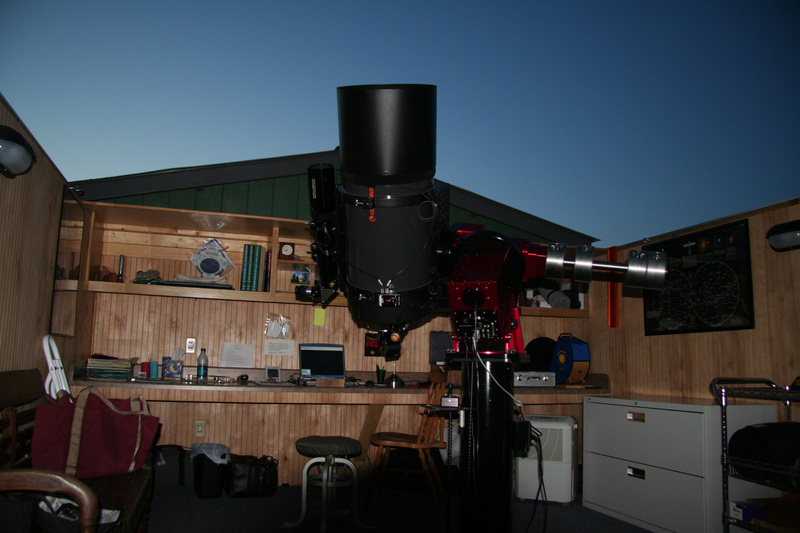 It houses a Celestron 14-inch Schmidt-Cassegrain f/11 telescope as the primary instrument, controlled by a Paramount-ME robotic mount. A Stellarvue 90mm TBV refractor rides piggy-back and serves as a rich-field secondary telescope.